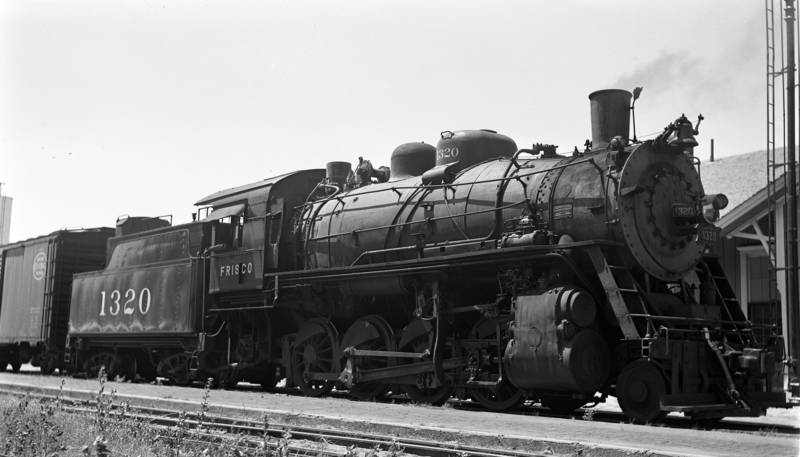 2-8-0 1320 (location unknown) on August 13, 1951. 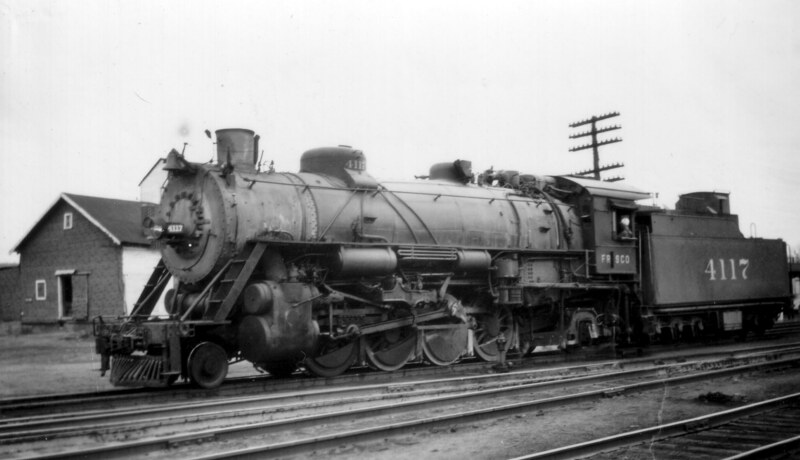 2-8-2 4117 at Monett, Missouri on March 20, 1948. 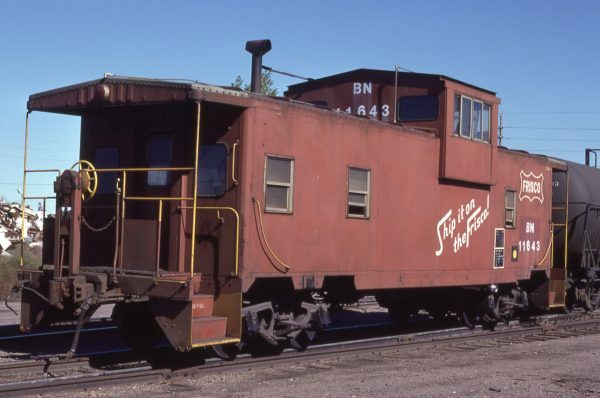 Caboose 11643 (Frisco 1413) (location unknown) in November 1982 (D.A. Napoliello). 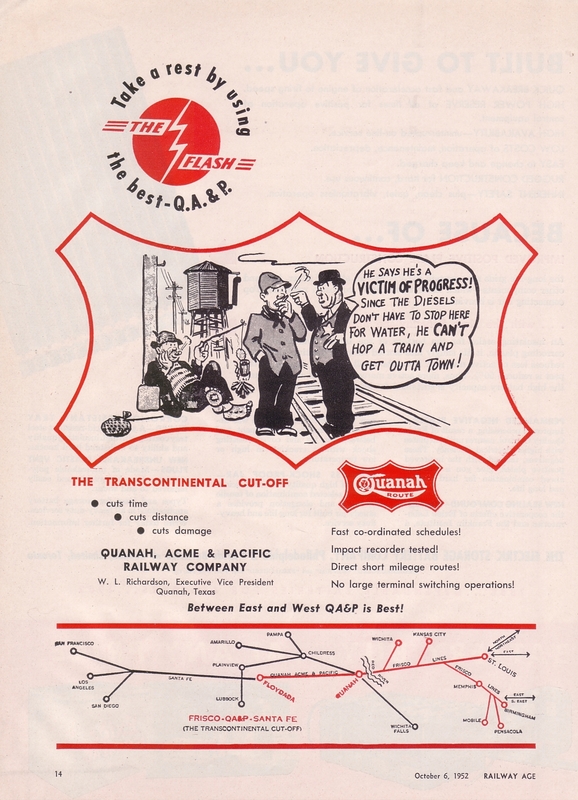 Take a rest by using the best… Quanah, Acme and Pacific advertisement from the Railway Age – October 6, 1952.